It’s another good idea to start a UK based tattoo shop business as it’s the current trend. More and more people are looking at how to start a tattoo shop with this trend. Those who design and apply tattoos are known as tattoo artists or tattooists. It’s their job to leave a lasting image on a client’s body that can stand the test of time using specialized needles and ink. You also are part of a pre-designed set of templates to help clients find the perfect ink for them completing original designs created from scratch. What do you need to Start UK Based Tattoo Shop Business? At first, let’s know what you need to start the UK based tattoo shop business your own. Talent & Training for Tattoo Artist: It’s recommended that you complete an apprenticeship if you do not already have the training to perform Tattoos. Also, you can start a tattoo shop business hiring a Tattoo artist if you don’t have the training and talent. Contact your local Government Health Department: as you have to understand the health regulations and required certifications to start a Tattoo Shop, you have to contact your local health unit or county health department. Don’t assume you know what is required because the rules vary from one area to another. You’ll require an inspection and approval before you can start tattooing when you have your tattoo shop setup. Get zoning from your municipality: Also you have to check requirements about starting a tattoo shop in your area from your municipality. You’ll have several challenges to overcome while attempting to start a shop in your home. When you really decided to start a UK based tattoo shop business, now you have to make a business plan. It’s so worse to jump into a business without knowing where to end and startup. Also, it’ll allow you to check in on your progress as your business grows when you’re with a good business plan. If you need to secure some financial assistance to start up or manage your business, a business plan is also an important tool. The costs depend on where you purchase items and where you open your business, it varies. But, we can suggest you the average costs to start a tattoo parlor in the UK. And it’s excess of $25,000 to the start-up cost of a new tattoo shop. If you want to practice as a professional you will need to fulfill a number of essential criteria laid down by the government then tattooing is a highly regulated industry. So, you’ll need to gain an apprenticeship with an existing licensed tattoo parlor and train under the other artists there to become a qualified tattoo artist. The apprenticeship of tattoo artist lasts for around 2 ½ years full time. You have to go almost unpaid when you work as an apprentice. Moreover, it requires your own equipment that needs to work with. You’re proficient at tattooing unsupervised; a license to practice must be obtained from the local council when enough work experience has been gained. As a new entrepreneur, you can start also Cleaning Business in the UK. What does a Tattoo Artist do? Discussion with clients to know what kind of design they prefer. Minimizing the risk of infection while using sterilized equipment and healthy environment. 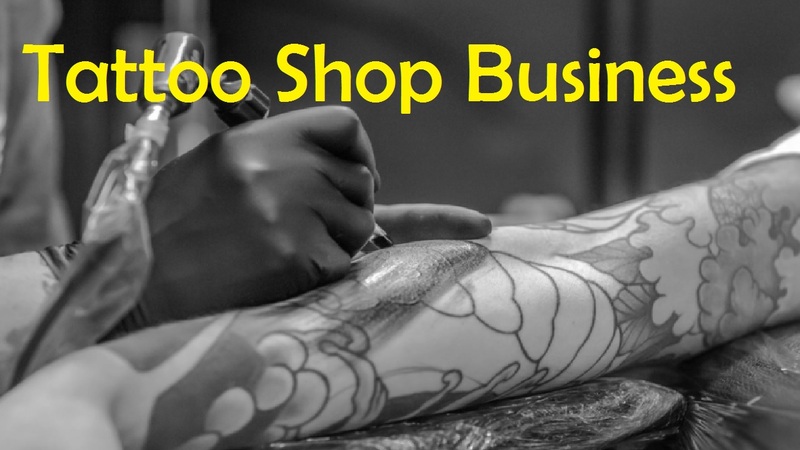 Who is right for the Tattoo Shop Business? It requires the artistic flair and creativity is a must to become a Tattoo Artist. Tattooing is an art form and one which requires dedication and an in-depth knowledge of the craft to succeed when done properly. Although most Tattooists will generally choose to practice what they preach, you don’t have to have your own tattoos to get into this profession. But, it’s not guaranteed these designs are always the best example of their work that we’re talking about. So, finally, you’re going to start UK based tattoo shop business of your own. But, wait a minute! You likely already have your Tattoo Machine Gun and related tools if you have the training and practice. But, you can get more as state below if you need. So, let’s know what you need as tattoo equipment to start a tattoo business. The idea to go to someone’s private home in most cases in a basement Tattoo shop is not exactly an easy sell to most Tattoo customers. It’s not bad to go to a private home for a haircut. But, it’s a matter if you get a bad haircut. Now, let’s know the way to market your tattoo design business. Inspection Certificate: It’s recommended that it be emphasized for your customers to see it as a sign to comfort their concerns because you’d be instructed to post that permit to be visible. This way you can show them that you take the necessary steps to ensure infection precaution and prevention. Business Permits: You are running a legitimate Tattoo shop business along with the health inspection certificates. This way, they’ll have an increased comfort and faith in you when you’re not trying to hide anything. Customer Service: Create a reception area for your customers if possible. You don’t have people waiting too long for their turn when you have a scheduling system. So, you can take advantage to have breaks between customers if you have a flexible schedule. Online Presence: If you’re on the online platform, it’ll help you to set up for customers to interact, provide feedback and comment on your Tattoo shop and works as well. As people can choose dates and times that you are available for a consult, you can set up a scheduling system on your website. Besides, you can get your tattoo artist business cards to inform your service to the people. Although UK based tattoo shop business is an idea for the personal small business, it requires enough practice and talent. Besides, you must have an imaginative mind that can make an artistic impression in mind when talking with clients about their demands. As a result, the job is not suitable for all. If you have the ability to fulfill the above-said requirements then go for it. Let us know if you have to know something regarding this concern. Additionally, remind us if we have left something to add in this post.